​Sydney and Ayers Rock, featuring deluxe and private touring. Welcome to Hamilton Island and Qualia. 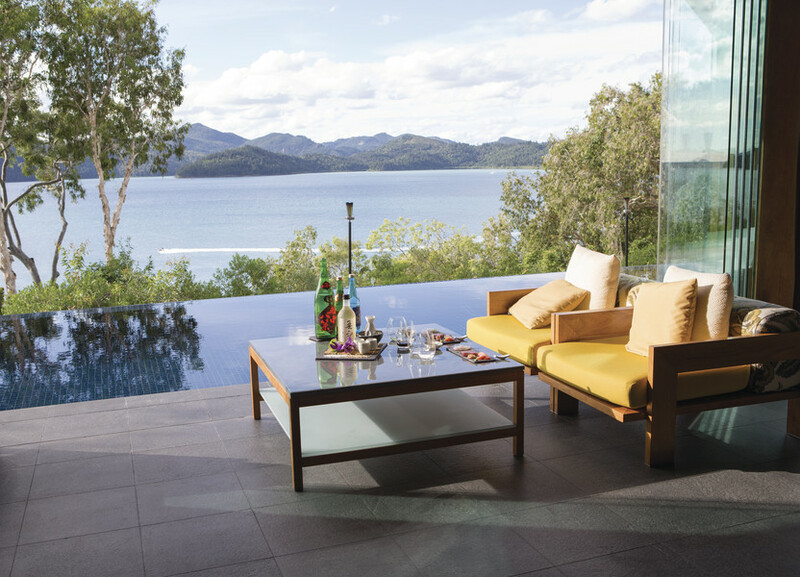 This is a unique Australian expression of world-class luxury, situated on the secluded northern-most tip of Hamilton Island. Your beautifully appointed Windward Pavilion features a living room, separate bedroom with a king bed, en suite and the added indulgence of a private plunge pool. Take the ultimate Great Barrier Reef experience with a helicopter flight to the outer Reef. Fly over the world famous "Heart Reef". Spend 2 hours on the Reef snorkeling and coral viewing from the underwater viewing chamber. Return scenic flight to Hamilton Island. Kick back with style and enjoy your private plunge pool.... and spectacular views. Fly to Sydney (flight not included), transfer to your hotel – a Deluxe Opera House View Room at the luxurious Shangri La Hotel Sydney. This afternoon take a helicopter city sight tour over Sydney! Your flight takes you over historic Botany Bay, the coastline the world famous Bondi Beach, Sydney Harbor heads, the north coast and of course all the wonders of Sydney Harbor including icons such as the Sydney Opera House, The Sydney Harbor Bridge and more. Today, come aboard and experience what it is like to "cruise like a local" on one of the most spectacular harbors in the world, with your local, friendly Australian hosts. Your personalized, tailor-made, 4-hour Sydney Harbor cruising experience will give you the opportunity to swim, fish, kayak, relax or sunbathe, with fabulous sight-seeing opportunities. Included in your tour today is a gourmet Australian BBQ lunch, with regional wines and local beers, plus 5-star service. 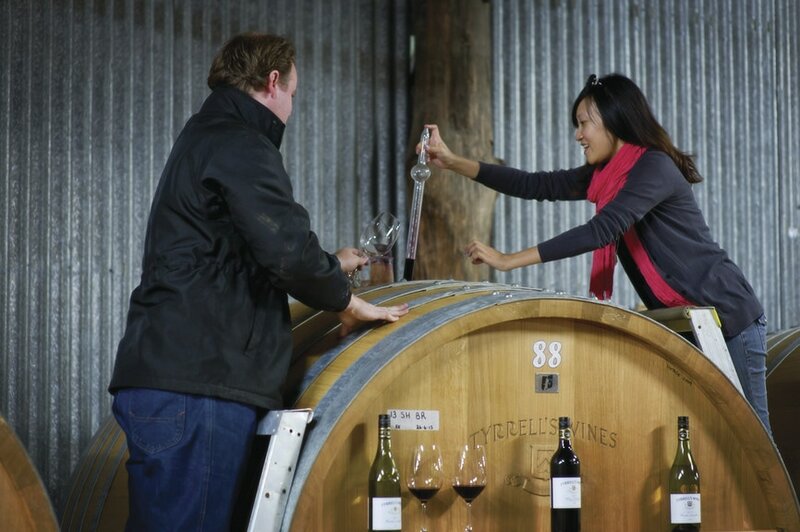 Your informative and knowledgeable guide will collect you from your Sydney hotel as we commence our private journey to the Hunter Valley Region. Highlights include a unique wildlife park where we’ll meet native Australian animals, the National Parks of the historic town of Wollombi, and the Hunter Valley for a day of wine, cheese, and chocolate experiences. This morning you will be transferred to Sydney Airport for you flight to Uluru/Ayers Rock. The sheer size of Uluru/Ayers Rock, the strong sense of spirituality and culture you will find here, combined with amazing stories means a visit here is an encounter with the very heart of the country. You will be staying in a luxury tent at Voyages Longitude 131. Here you’ll share exclusive and authentic experiences on an exceptional touring program designed exclusively for Longitude 131 guests. Take advantage of Longitude 131’s all-inclusive package: listen to the Dreamtime stories of Kata Tjuta, watch Uluru change color at sunrise, hike around in Australia’s distinctive red desert, or just take time to relax and enjoy the luxuries of Longitude 131. Check back into the Shangri-La Hotel Sydney, and spend the rest of the day at leisure to reminisce about the past 9 days – or take in some last minute shopping. A private transfer to Sydney International Airport to connect with your flight home.